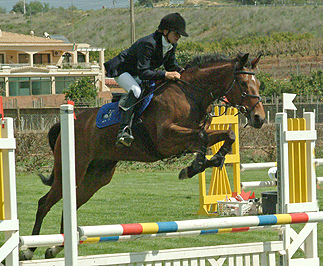 We also have quite a few competition and lead horses that are ridden by our staff, friends and associates. These horses are used to take out rides but also compete in National and Regional competitions. Touché was a mistake. Deborah accidently left his sire's (Fouquet) stable door open. Son of Scrumpy, this little horse jumps 1.50m loose in the arena. Angel traveled by aeroplane, truck and boat to arrive in the Algarve. Angel takes many rides out as the lead horse as she is only ridden by staff and a few friends. She has had one foal - Questing Cherub. 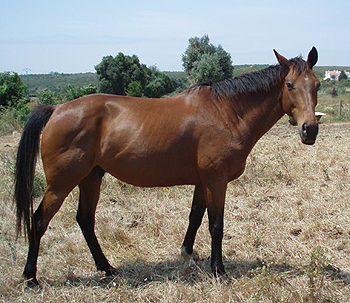 Daffs 15.3hh, 9 years, Thouroughbred mare. 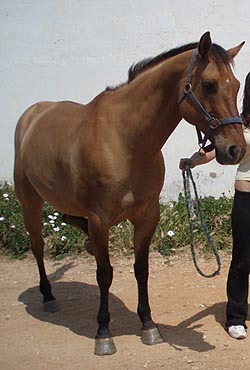 16.1hh, 15 years, Thouroughbred gelding. 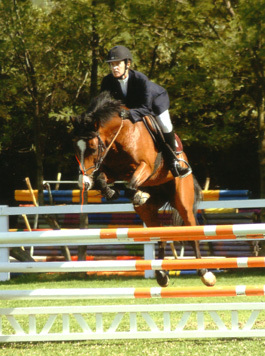 Ballykissangel (Megan) 17.3hh 12 years Irish Draught mare.